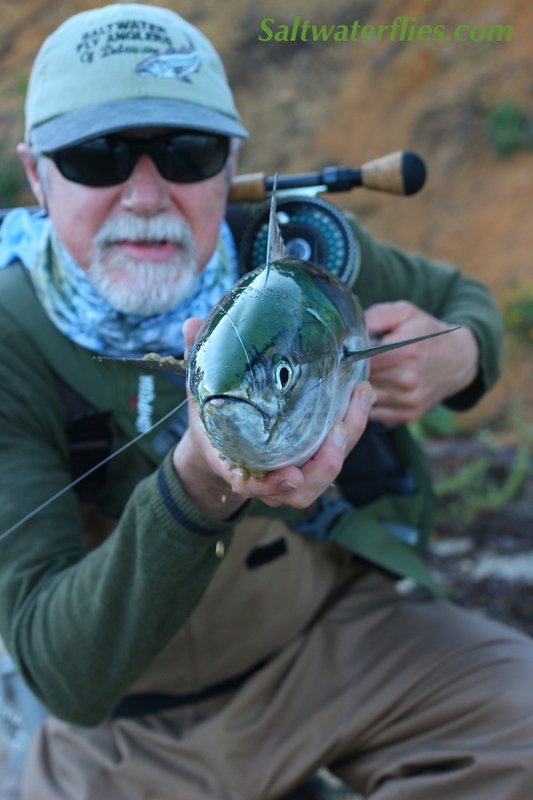 The "Eye Candy" is a small surf candy tied with translucent materials and an oversize eye to better imitate a wide variety of small, transparent baitfish... in some locations flies like this are simply referred to as "Eye" Flies. Excellent pattern to have in the box when fish get picky on small baits. Small, subtle Surf Candy styles like this are hard to find, and we've got em! Neatly tied in the USA by Chris Gill on the strong, sharp Mustad C68SNP #2. This fly is approximately 2 1/2 inches (6 cm) long. A shout out to Bob Popovics for designing the original Surf Candy flies. Similar flies: Chovy Candy.